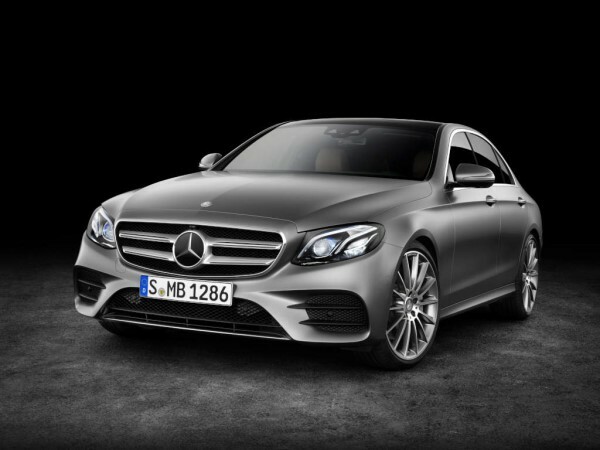 As promised, luxury automaker Mercedes-Benz officially launched its much awaited Tenth-generation E‑Class on January 11, which according to them delivers stylish highlights with its distinct, emotive design and high-grade interior. The new E-Class remind me of the current C-Class and S-Class, although it has its own peculiarities, its sophisticated, stylish and sporty with a contemporary outlook. In comparison ot the outgoing model, its grown by 65 millimetres with an elongated hood and a roof flowing into a tail end with curves that accentuates its sportiness. It has short overhangs, a very decent wheel base and fresh-looking appeal which draws you to it. The interior looks opulent, futuristic and minimalist with next-generation high-resolution displays, with each one having a wide screen diagonal of 12.3 inches and beneath their shared glass cover, are two displays which visually ‘conflate into a wide-screen cockpit that seems to be hovering in thin air’. A touch-sensitive control buttons (‘Touch Controls’) on the steering wheel in addition are offeredfor the first time in a car. Similar to a smartphone interface, ‘they respond precisely to horizontal and vertical swiping movements, allowing the driver to control the entire infotainment system using finger swipes without having to take their hands off the steering wheel’. Mercedes say high-quality materials will define the interior style. Open-pore woods, wood in a yachting look with flowing lines as a contemporary interpretation of inlaid wood and a novel metal fabric are adopted. Under the hood is a newly developed diesel engine together with lightweight design and record-breaking aerodynamics which set efficiency standards in its segment- Its six-cylinder engine incorporating advanced SCR exhaust technology, with a peak torque of 620 Nm produces an output of 190 kW (258 hp). At market launch, it will come with two engines, a four-cylinder petrol engine and the E 220 d with an all-new four-cylinder diesel engine. Other variants include a PLUG-IN HYBRID allowing around 30 kilometres of mission-free driving. According to Mercedes-Benz, ‘Its four-cylinder petrol engine, in conjunction with a powerful electric motor, gives it a total system output of 210 kW (286 hp) with a system torque of 550 Nm’. 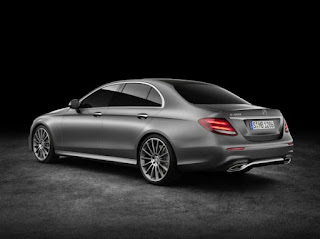 The E 400 4MATIC with a six-cylinder petrol engine has an output of 245 kW (333 hp) with a maximum torque of 480 Nm. All models available at market launch are equipped with the new 9G-TRONIC nine-speed automatic transmission as standard. When loaded, the highly sensitive and fast-responding AIR BODY CONTROL multi-chamber air suspension feature will give an all-round self-levelling for excellent ride comfort. This will control the ride height automatically depending on the speed and reduces fuel consumption on the motorway. It has a Digital vehicle Key , a drive authorisation system that uses Near Field Communication technology and allows the driver’s smartphone to be used as a vehicle key. I could go on and on as the list seems endless, the new E-Class is a compendium of tools and gadgetry that is very exclusive to its segment. No price indication has been given yet, we will also be seeing it at the Detroit Motor Show which already began.